We all know that high school reunions can be a daunting and sometimes horrifying experience. Well, for Emma Frost that is exactly what it becomes when she is invited to meet with all of her old classmates at a desolated hotel in the most Northern part of Denmark. Soon, she will learn that there was more to this reunion than just them catching up on old times as a dark secret from their mutual past is revealed. 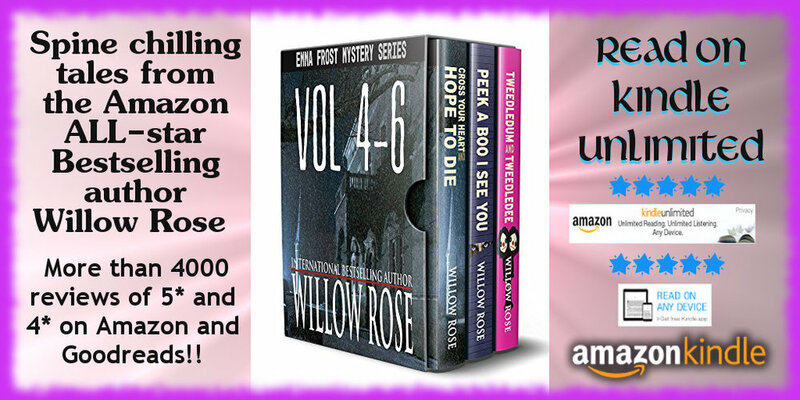 Fasten your seatbelt as Willow Rose takes you on a crazy and very surprising ride. The body of a woman found in front of Nordby City Hall has a message for Emma Frost carved into the skin. Behind this ruthless murder stands a ghostly figure that likes to play childish games. Soon, this killer brings a reign of terror to the small Danish Island and especially to the life of Emma Frost. While Emma's personal life is in a mess, she also has to hunt down a cruel predator who seems to be targeting people with serious mental illnesses. It's spring break in Cocoa Beach and evil is lurking everywhere. In the middle of the night, Alberto Alonzo sneaks out to play at the casino with his mother's credit card in his hand. The next morning he is gone and no one knows where he is and, for his family, a real-life nightmare unfolds. Emma Frost is with her family on a cruise in the Mediterranean Sea when the boy goes missing from the ship. The boy is the son of a world-famous race driver. When the wife is killed shortly thereafter, everyone turns their attention to the race driver and thinks he killed them both. 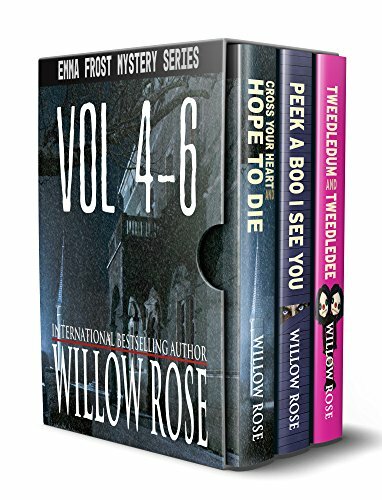 But soon, another teenager disappears in the middle of the night and Emma suddenly finds herself leading a desperate manhunt to track down the killer before he strikes again.